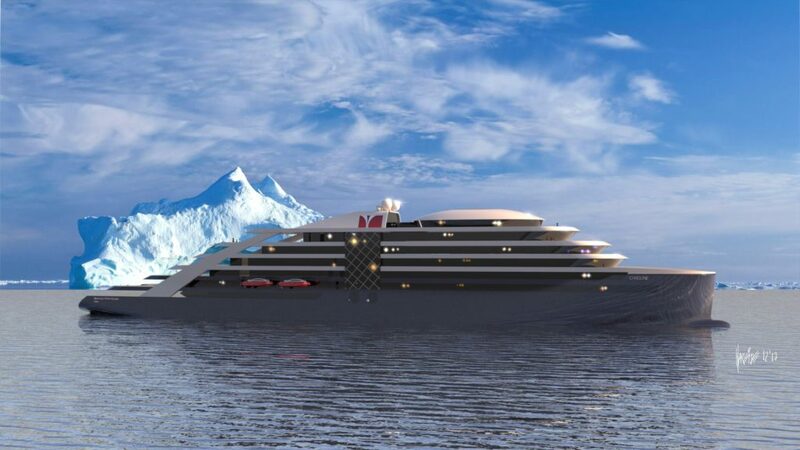 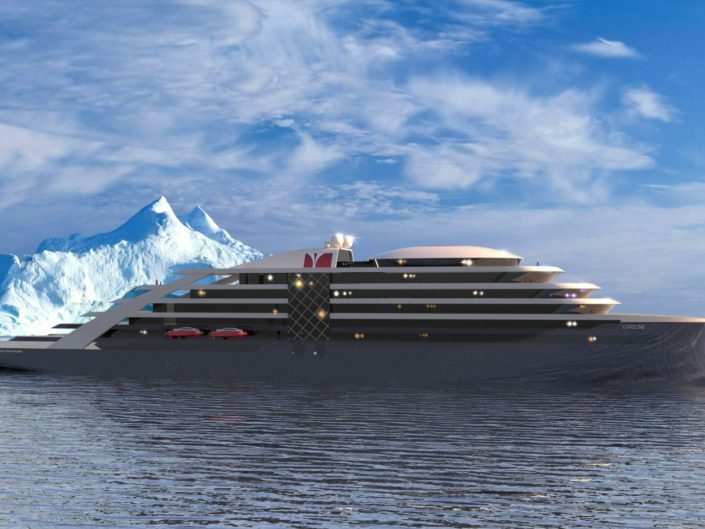 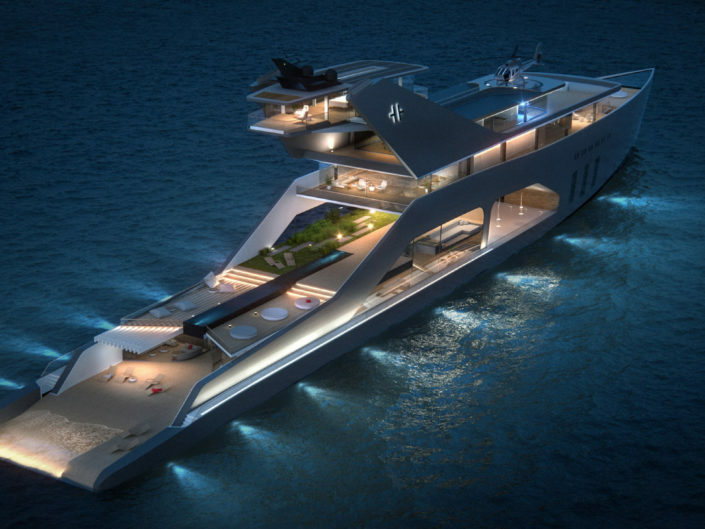 Design of the first of a series of expedition yachts for Norwegian Yacht Voyages. 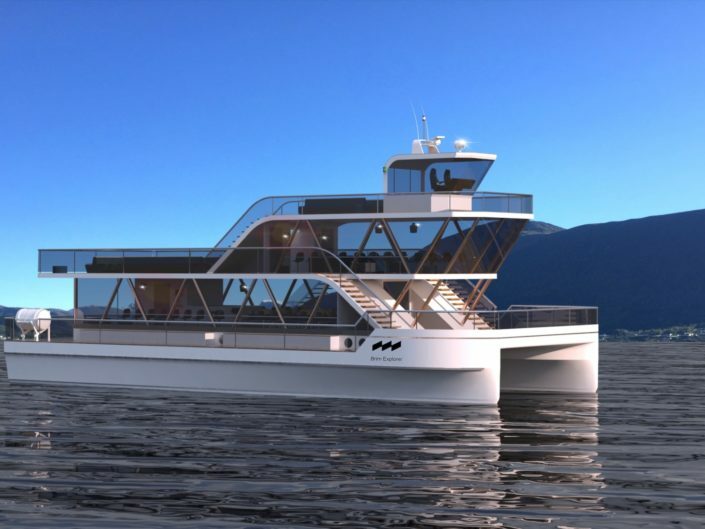 The design of the ship goes hand in hand with the ambition to create the optimal environmental expedition vessel based the next generation hybrid solutions and and comfort never seen onboard such a ship. 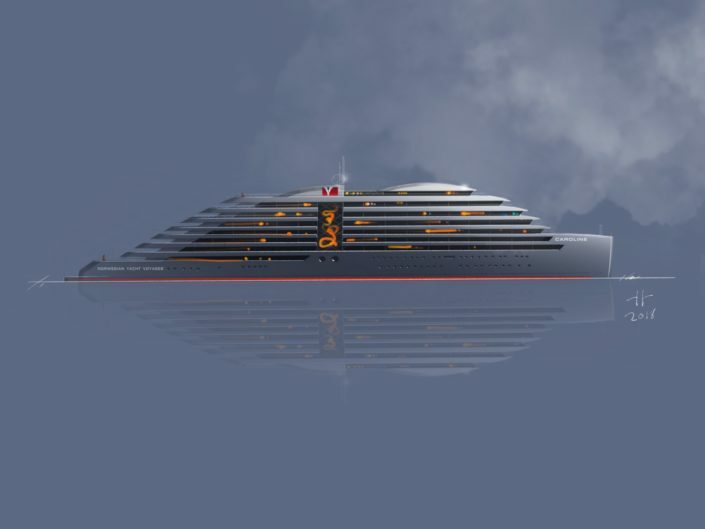 MY Caroline is 170 m. long and has a crew to passenger ratio of 1.3, making this “sailing and exploring the mega yacht way”.